For best possible results, exfoliate skin using an oil-free scrub and shave or wax a minimum of 24 hours prior to self-tan product application. 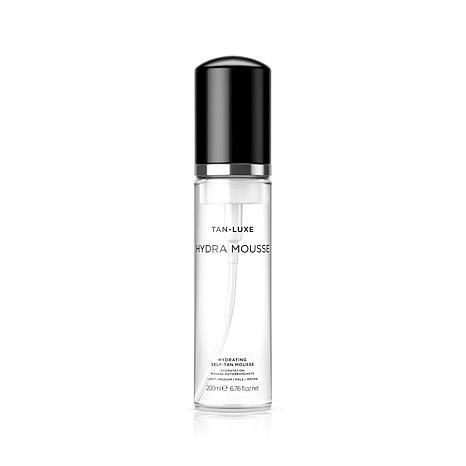 Before applying Hydra Mousse, moisturize hands, elbows, knees and feet (paying special attention to ankles and heels) using a lotion or body butter. Apply 2 pumps of Hydra Mousse onto the tanning mitt per body part for your first application. If desired, build color by reapplying the following day and increase to 3 to 4 pumps per body part. Apply to skin in a circular motion, starting with legs and working up the body. After product is spread evenly, sweep mitt back and forth until mitt is dry (this blends product and helps minimize streaking). To ensure complete coverage, sweep mitt in medium-sized circular motions from head to toe. Sweep over elbows, hands, feet and knees very lightly, as these areas are very absorbent of self-tanning product. Your tanned look will start to develop within 4 to 6 hours. Do not shower for at least 6 to 10 hours post-application. Do not participate in any activity which may cause excessive perspiration. Ingredients: Aqua (Water), Dihydroxyacetone, Propylene Glycol, Glycerin, Ethoxydiglycol, Decyl Glucoside, Aloe Barbadensis (Aloe) Leaf Juice, Erythrulose, Rubus Idaeus (Raspberry) Seed Oil, Tocopheryl Acetate (Vitamin E Acetate), Hydrolyzed Silk, Lecithin, Caffeine, Palmitoyl Carnitine, Panthenol, PEG-40 Hydrogenated Castor Oil, Glycereth-26, Parfum (Fragrance), Ascorbic Acid, Phenoxyethanol, Triethylene Glycol, Citric Acid, Limonene, Geraniol, Hexyl Cinnamal, Benzyl Salicylate, Butylphenyl Methylpropional. this lasted one week and looked great. I will purchase again. Skeptical at first; I applied product and did not see an effect. Checked later that day and started to see an uneven appearance, then later that evening after giving the product time to fully develop - I not only had a beautiful tan but, it has lasted a full week without reapplication. Product does not leave skin feeling dry and does not transfer to clothing. Absolutely the very best tanning product I've used. Thank you. No idea why anyone would write a bad review if you use this product correctly. Have had so many nice complements on my nice tan this summer and never once was out in the sun to tan. Use with a neutral moisturiser, non shea, but a more clean light mixture and rub the mouse in with a heavy handed circular motion and the next day you see tanned skin and even more on the second day. Keep your skin moisturised and it last for three weeks, mine did anyway. When showering, do not scrub hard on your skin with the tanner on or it will mess it up. Before use, really exfoliate your legs and arms, any areas you need tanned, add lotion to the whole body, wait a hour, add more lotion to the feet and elbows, etc, add mouse and really rub in hard to make it last. I had more compliments this past summer than any year I had in my youth with a real suntan. Love this brand, will always keep it in my vanity, LOVE! PS: Use gloves before applying. One of the best I've used. I'm very fair with very sensitive skin and this leaves a beautiful natural glow that is also buildable. The fragrance is a lovely soft cassis/raspberry scent, not that horrific self tanner ghastly stench.....it's like s nice hydrating body cream scent. 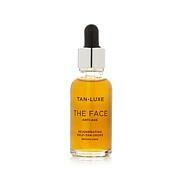 This tanner also leaves my skin dewy, hydrated and lasts for a very long time. I love it, I've tried a lot of tanners, but THIS is the best one hands down. 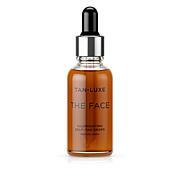 I've got it on auto delivery which is a great value....I also love the one that you mix with your own moisturizers, just as fantastic... Tan luxe is the best company/brand for natural, healthy self tanners. Try it, I know you'll love it.